Buffalo Chicken Dip is such a great recipe to serve at parties, have while watching a game or on board game night. 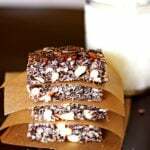 This recipe is so easy to make and will be a hit for sure! I grew up in Buffalo, New York…home of the chicken wing. 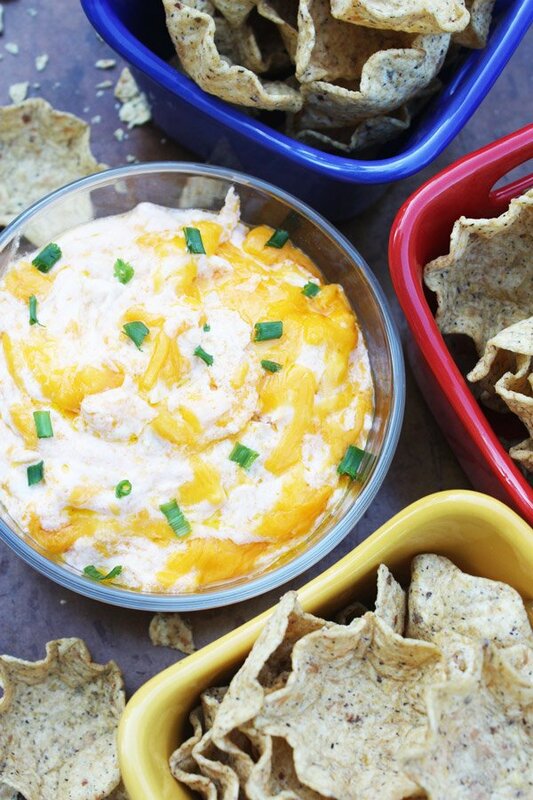 To be honest with you, I don’t really like chicken wings but I do love this chicken wing dip! We love to have it on the side on pizza night! 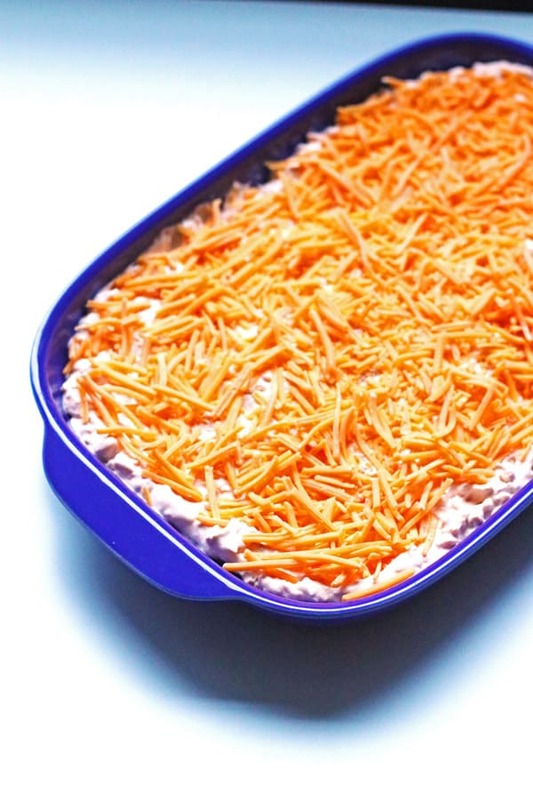 There are many different recipes out there for Buffalo Chicken Dip. Some recipes have different ingredients and cook the dip in various ways. Using a rotisserie chicken helps with getting the recipe made quickly and within 30 minutes. If you cannot get a rotisserie chicken then you can buy 3/4 -1 lb. chicken breast and cook that in a skillet on your stove top. If you are cooking the chicken, it will add about 15 minutes to preparing this recipe. If cooking the chicken, cook each side about 8 minutes on medium heat until it is lightly browned. You can slice the chicken in half to make sure the center is no longer pink. I love using my cast iron skillet when I cook the chicken. Preheat your oven to 400 degrees. 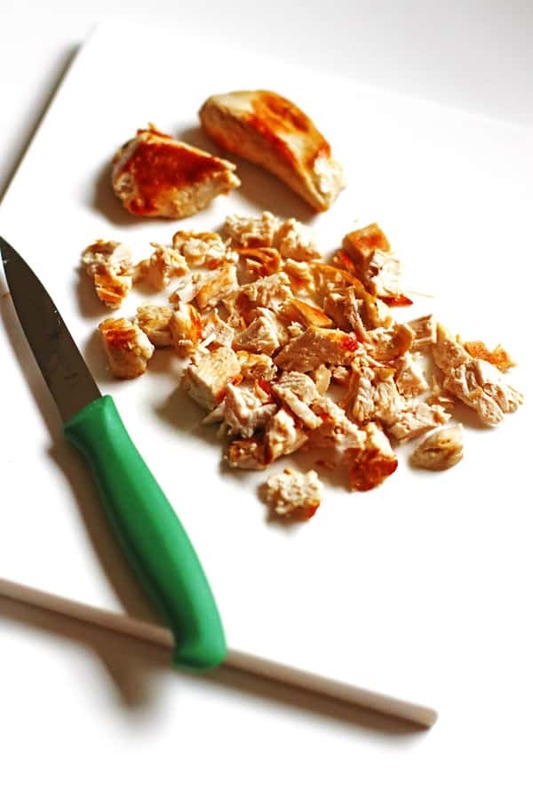 While your oven is preheating, cut up the cooked chicken to bite size pieces. Set that aside. 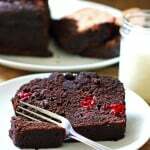 This recipe can be made using an electric mixer or just mixing it by hand. I have made it both ways. Mixing it with your electric mixer is much easier, but if you don’t have one you can mix all the ingredients together by hand. 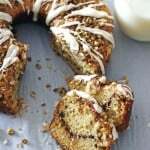 As long as the cream cheese is softened, it is pretty easy to combine with the other ingredients by hand using a large spoon. In a medium sized bowl, combine the softened cream cheese and sour cream. Add in the hot sauce (I use Frank’s hot sauce) and half of the cheddar cheese. Save the other half of the cheese for the top. Add in the cooked chicken and mix all the ingredients together well. Scoop it into a 13 x 9 baking dish (if your baking dish is a little smaller that will work also). Sprinkle the other half of the cheddar cheese on top. Place in the oven and bake for 20 minutes. Garnish with fresh chives if desired. Serve warm with some delicious tortilla chips or fresh veggies like carrots and celery. Enjoy! Make sure your cream cheese is softened so that it will mix in with the other ingredients easier. To soften it, leave it in the package on your counter for 30 minutes. If it needs a little longer, give it another 20-30 minutes. It should be slightly soft to touch and the edges will look softened when ready. Take the cream cheese out to soften before starting to prepare the recipe. This is important to keep the prep time within the 30 minutes. The chicken you use, whether it is a cooked rotisserie chicken or you cook the chicken breast yourself, doesn’t matter with the end result. The rotisserie chicken is great to use since it is already cooked. 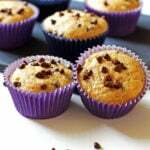 It is a great time saver for this recipe. When they are not available at my local grocery store, I cook a chicken breast. This recipe can be made ahead of time and cooked later. Just keep it in the refrigerator until you are ready to cook it in your oven. Looking for another amazing yet easy to make appetizer? 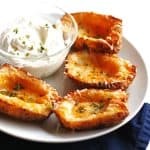 Try my Potato Skins recipe. They are one of my favorites! They are a great appetizer or side dish…I love having them with my Crockpot Tomato Vegetable Soup. 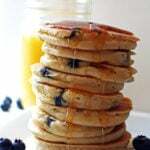 If you make this recipe or another one on my blog, please let me know how you liked them by leaving a comment and a rating below in the comment section. Thanks so much! 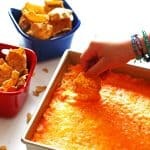 This recipe for Buffalo Chicken Dip is a delicious appetizer recipe that is great for game days, board game nights, pizza night and parties. It can be made ahead of time and cooked later when you are ready for it. 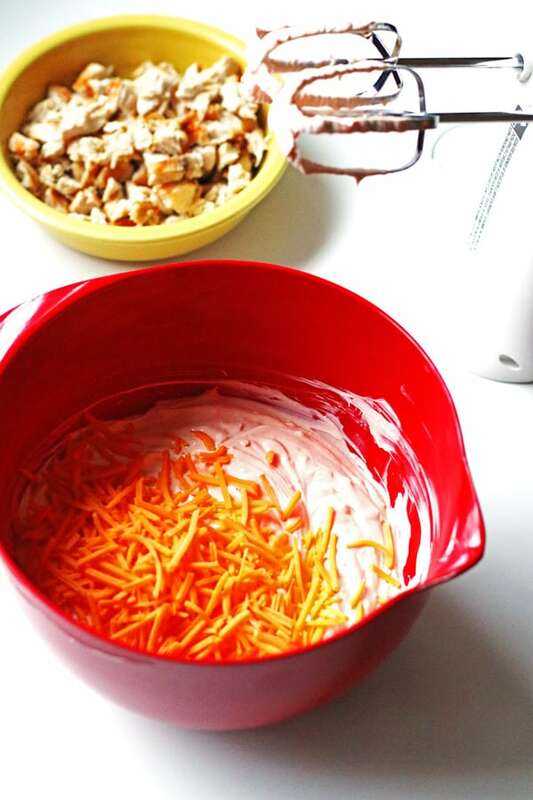 In a medium sized mixing bowl, combine the sour cream and softened cream cheese until blended well together. Mix in the hot sauce to the cream cheese mixture and half of the cheddar cheese. Add in the cooked chicken and and mix in with the other ingredients. Sprinkle the remaining cheddar cheese over the top, place it in the oven and cook for 20 minutes. Serve with tortilla chips or fresh veggies like carrots and celery. 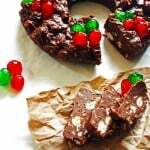 Update Note: This recipe was originally posted in 2015, but was published again in 2018 to include step by step directions and new photos. Love that it’s not too spicy! Will be making this again! 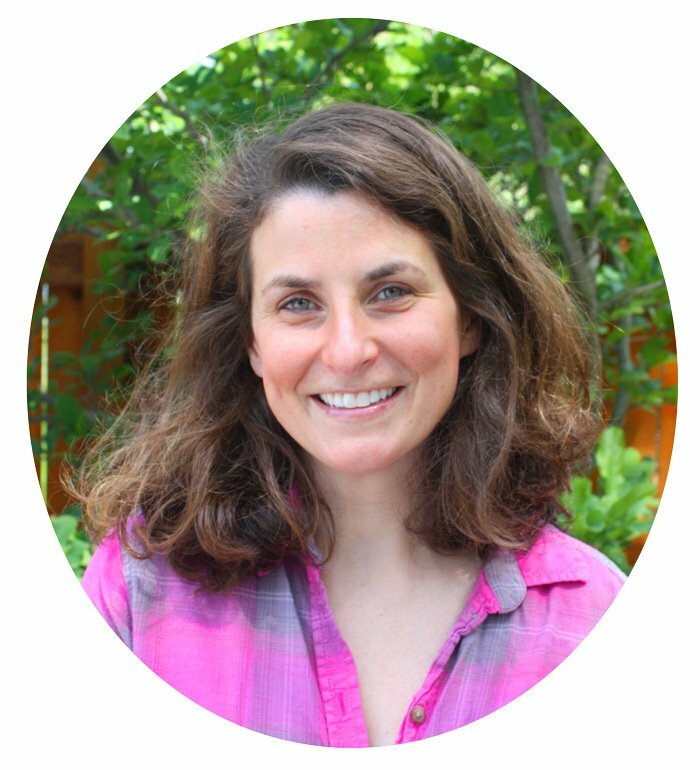 So glad to hear this Colleen! Thanks! 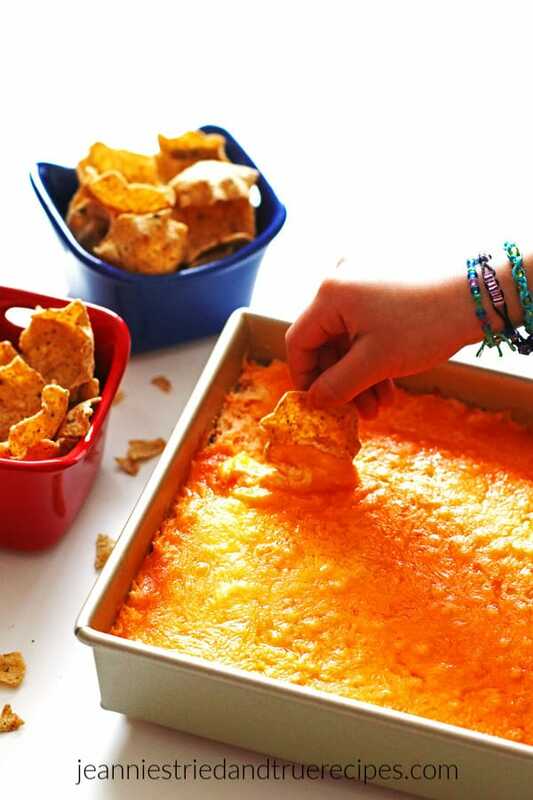 I’ve been looking for a simple dip to make for my Super Bowl party this year. I tried this out last weekend and it’ll be the perfect recipe for the party!! It’s so tasty! Great Cheryl! Thanks for letting me know!